With 90 calories, 7 grams of protein, and 4 grams of carbs per bar, I’m super PUMPed for you to try these low carb pumpkin cheesecake bars. The recipe is super simple with only 7 ingredients, and I’ve included a video walkthrough so you can see it in action. Oh, and in case you’re on a lower calorie diet and have a few carbs to spare, I’ve included an alternative recipe to reduce the calories to 75 calories each! I originally posted this recipe on my Instagram and have a short list of common questions about ingredient modifications. If you have a question you don’t see below, feel free to drop a comment at the bottom of the post. What if I don’t have Pumpkin Spice Protein Powder? These pumpkin cheesecake bars use Bowmar Nutrition’s Pumpkin Spice Protein Powder, which I realize isn’t the most common flavor around. If you have one of their other flavors on hand like Frosted Cookie, that will work fine. You could add 1/2-1 tablespoon of pumpkin pie spice or a teaspoon of ground cinnamon and ground nutmeg to maintain the pumpkin spice flavor. And as a side note, be sure to match the protein powder gram for gram if you’re using a different brand of protein. I’d like to make these cheesecake bars a different flavor. What can I use in place of the pumpkin? This pumpkin cheesecake bars recipe calls for 1 cup of pumpkin, which is a significant amount relative to the other ingredients. 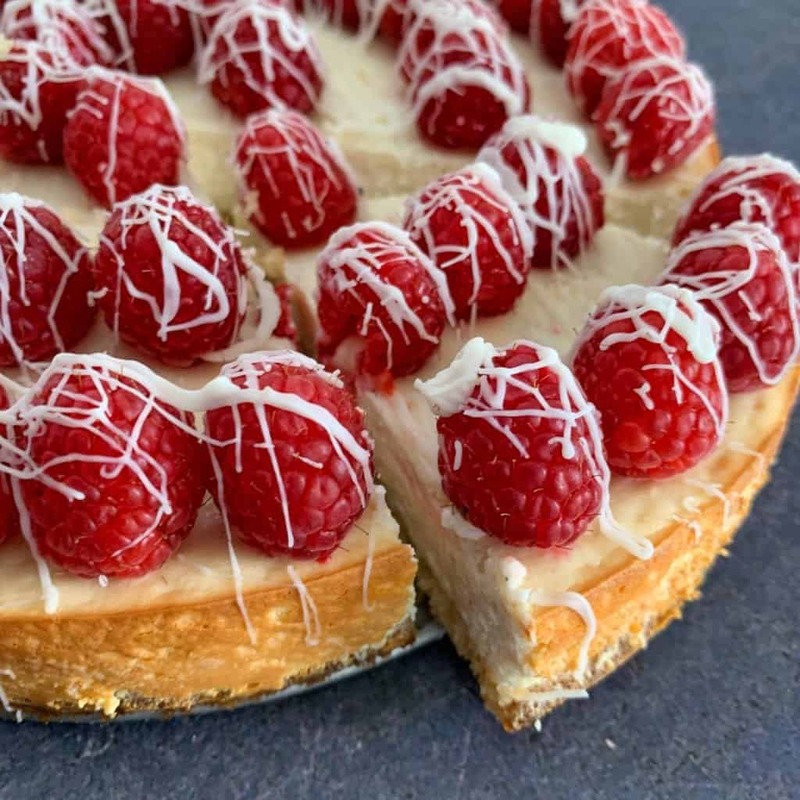 If you’d like to make a plain or vanilla cheesecake, I’d recommend checking out my white chocolate raspberry protein cheesecake first. Then, if you wanted to venture out from there it would be much easier to find substitutes. Where do you find fat free cream cheese and can I use 1/3 fat cream cheese instead? This could be a location specific thing, but I never have trouble finding this ingredient at Walmart or Kroger here in the southeast US. Though it’s worth mentioning both are their store brand version. If you have trouble finding this ingredient or shop elsewhere, a 1/3 fat cream cheese will work perfectly fine. And since the recipe only calls for 4 ounces, it’s not like this swap will make a massive calorie difference per cheesecake bar. Like I mentioned in my low carb blueberry cake donuts recipe, I’ve found that all purpose flour almost always works well as a 1:1 substitute for almond flour. 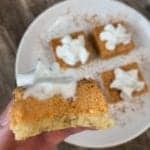 I would recommend using 3/4 cup or 90 grams of all purpose flour for these pumpkin cheesecake bars. If you wanted to use another gluten free alternative like coconut flour, that’s a different story. Since coconut flour is so absorbent, you would likely need to add more butter or liquid of some kind to have enough crust volume to cover the bottom of the baking dish. Is there a difference between Swerve Granular and something like stevia? Yes. I won’t go into the details of each, but I’ll mention 1/4 cup of Swerve Granular weighs 48 grams and 1/4 cup of the stevia baking blend I use weighs 18 grams. Oddly enough, both work fine and both substitute 1:1 with sugar according to their packaging. If you’re using stevia or another sugar substitute, be sure to take a look at the conversion rate for real sugar. 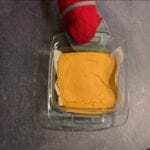 You want the equivalent of 1/4 cup of sugar for the crust of your pumpkin cheesecake bars. 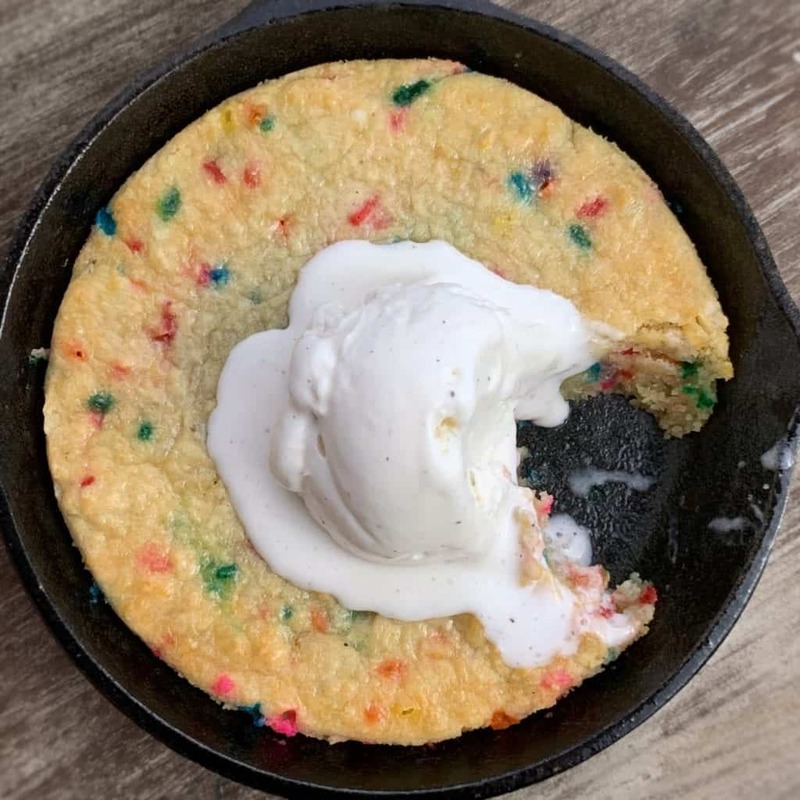 Three awesome re-creations of this recipe from members of my Facebook group! Can I use something other than light butter? Totally. Any fat source will work here. I’d recommend something like coconut oil (melted) gram for gram if you need a dairy free substitute. Okay, that’s all the ingredient notes I have for now. 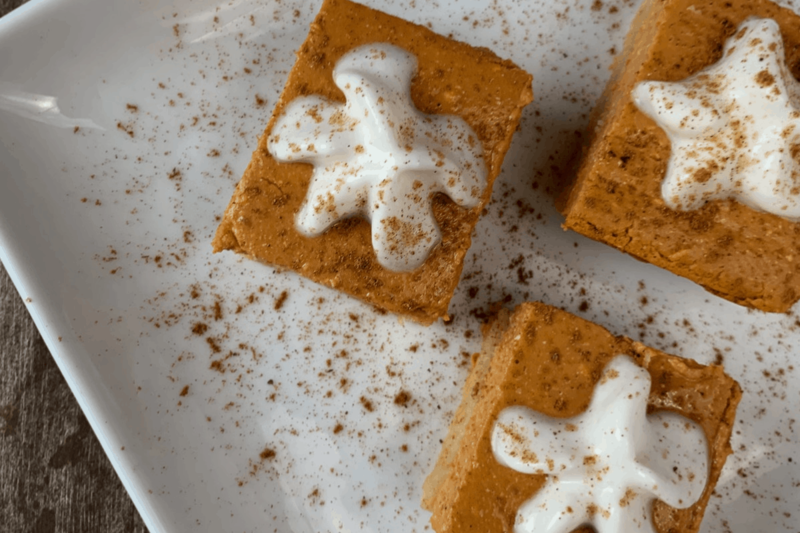 Check out the video below to see just how easy these pumpkin cheesecake bars are to make. 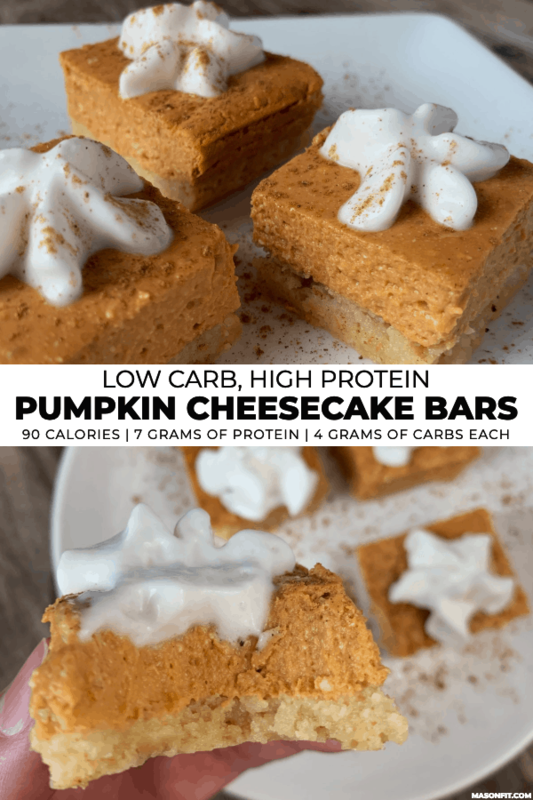 If you make these low carb pumpkin cheesecake bars, I want to see them! Take a photo of your creation and tag me on Instagram @mason_woodruff. Or you can join my free Facebook group and share it with the Proton Party. Pumpkin spice protein cheesecake on top of a 3-ingredient, low carb almond flour crust and cut into single serve bars. Preheat an oven to 400F and line an 8x8 baking dish with a strip of parchment paper (optional to make removing from the dish easier). Mix the crust ingredients in a bowl and spread the mixture into a thin layer on the bottom of the baking dish. 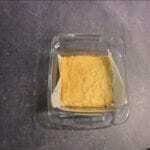 Bake for 12-15 minutes or until the crust begins to turn golden brown. Mix the cheesecake ingredients together until smooth. IMPORTANT: Let the crust cool for at least 10 minutes before adding the cheesecake mixture to avoid a soggy crust. Reduce the heat to 350F and bake for 23-25 minutes or until the center is mostly set, unlike a traditional cheesecake. Cool and refrigerate to let the cheesecake set (3-4 hours but overnight is best) before cutting into 16 squares or however many bars you'd like. With a slight variation to the crust ingredients for these pumpkin cheesecake bars, you could easily make my low carb birthday cake skillet cookie. 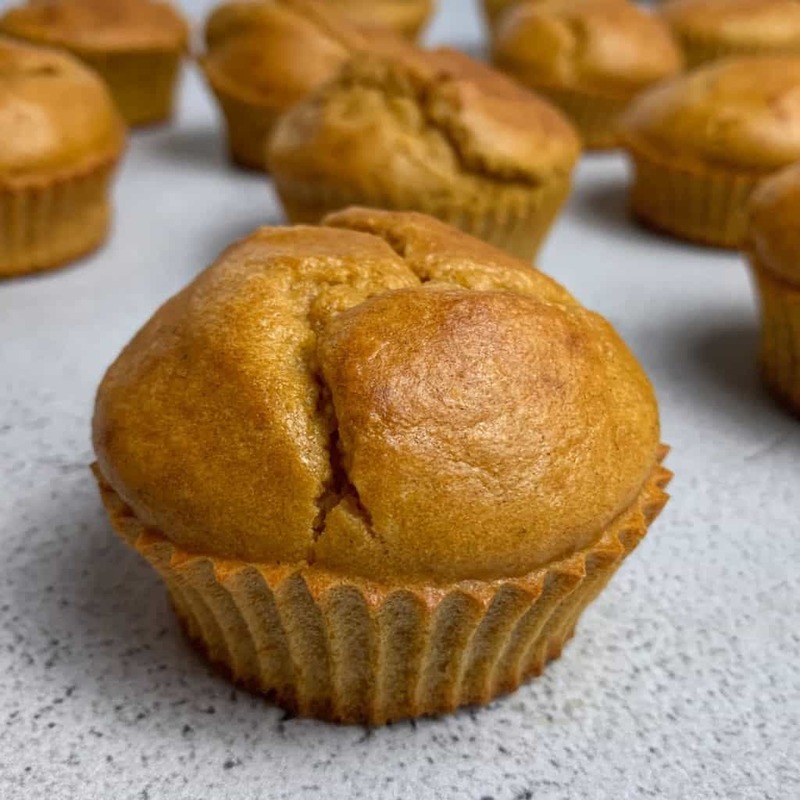 And while you have the canned pumpkin on hand, my 6-ingredient low carb pumpkin protein muffins make a great breakfast or snack! This was so easy to make and tasted great! Thanks Mason for my snack during the week. 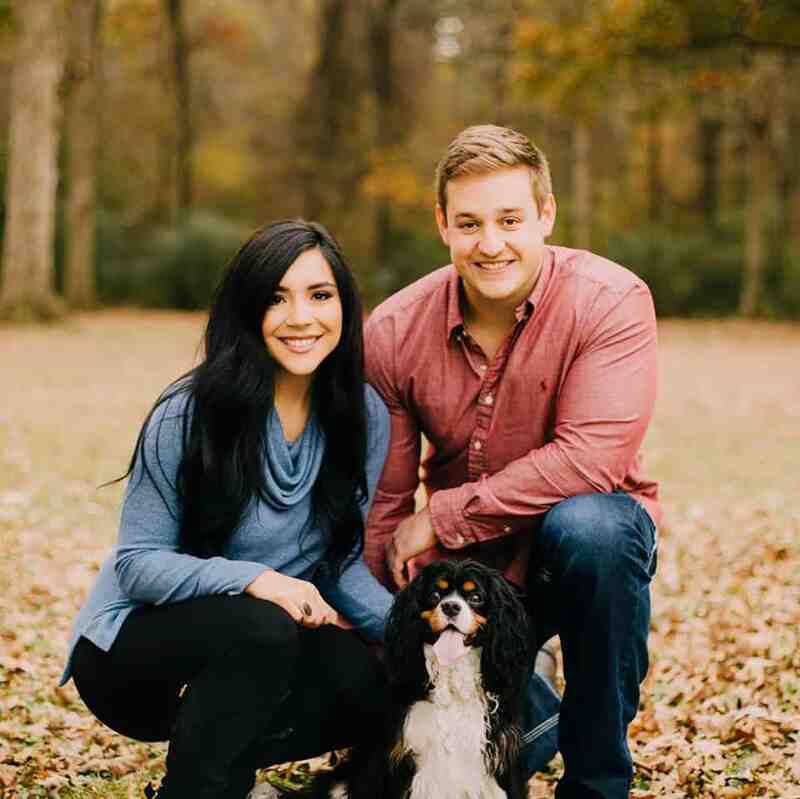 These were so easy to make and my husband loved them. I used the Bowmar Pumpkin Spice Protein Powder. I think I would even add more pumpkin spice next time! Paired this with 2 servings of slow churned vanilla ice cream. it was a match made in heaven- awesome recipe dude!